2018 Lifetime Service Award (back row left to right): Bill Henderson, Terry Lorentzen, David Alexander and Jim Broncatello . (front row left to right): Victor Richmond, Ruben Leon, Natalie Hayes, Tish Petersen for Fred Petersen, John Phillips and Erwin Goldbloom. He was a standout wrestler for two years at Santa Ana College where he was a two-time state placer, Conference Champion, State Champion and All-American. He continued to wrestle at the University of Northern Colorado where he was a two-time Rocky Mountain Conference Champion and placed 2nd and 3rd in the NCAA Championships. Dave also coached at Corona Del Mar HS and Estancia HS as well as at Santa Ana College. 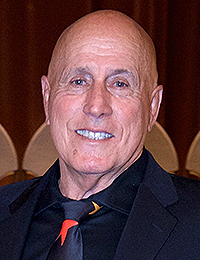 He has been a highly regarded wrestling official for many years and has served as the president of the Southern California Wrestling Officials Association. At Cal Poly-Pomona he was a two-time NCAA Division II National Qualifier. He began coaching at Claremont HS where his athletes won 13 league championships, 5 CIF Division championships, and he had one CIF Southern Section Champion and a CIF State Champion. He became the coach at Claremont McKenna College & Harvey-Mudd College where his 1982 team won the NCAA Division III Western Regional Title. Jim officiated high school, community college and college levels for 40 years with one CIF State Championship, 3 CIF Masters Tourneys and 14 League Championships. At Rolling Hills HS he was 2nd in CIF, a 1st Team “All South Bay” selection. At Pierce College he placed in the State Jr. College Championships. He completed his wrestling career at Cal State Bakersfield on two NCAA Division 2 National Championship teams. At Artesia HS, he won 5 Suburban League Championships before moving back to Irvine HS. His teams have won 21 League Championships in four different leagues. His has coached 20 State CIF qualifiers and 11 state medalists. He has been the athletic director and wrestling coach, and he is working in his 31st year at Irvine HS. He wrestled at UCLA for Hall of Fame Inductee Briggs Hunt and served as an assistant coach at UCLA for two years. He coached at Simi Valley HS and his teams won four league championships. He then coached at Pierce College for 30 years and had many JC State placers and champions. Active in the State Cultural Exchange Program, he hosted and took teams to Japan. He officiated wrestling including the NCAA National Championships in 1965. 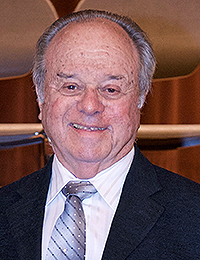 He was Assignment Chairman of officials for the San Fernando Valley and South Bay. In 2017 he received the CIF Golden Whistle Award. She has been a committed, dedicated and enthusiastic wrestling fan for over thirty years. 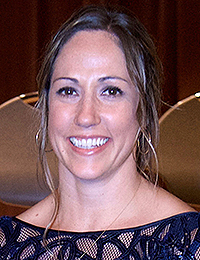 Natalie has spent countless wrestling sessions as the coordinator and tournament director for Tournament Masters, Inc. TMI has organized wrestling tournaments including the CIF State High School and PAC-12 Championships. During Natalie’s time in these tournaments, she has tirelessly posted results of important wrestling events on forums and other social media platforms. The Southern California wrestling community appreciates all of her efforts to promote amateur wrestling. He wrestled at Cerritos College and then at Long Beach State. He coached at seven different high schools in Southern California. While at Victor Valley HS, he started the Hi-Desert Youth Wrestling Club This was a major factor for Victor Valley HS winning 10 League, one CIF Southern Section and one CIF State Championship. He became the first wrestling coach at Victor Valley Community College and had 4 All-Americans his first year. He assisted Bob Anderson with the California JETS Wrestling Club. 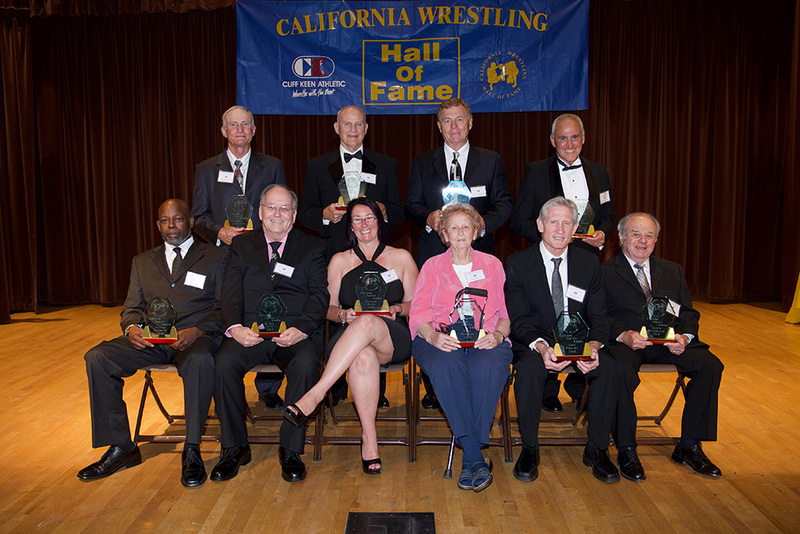 Bill was inducted into the California Chapter of the National Wrestling Hall of Fame. 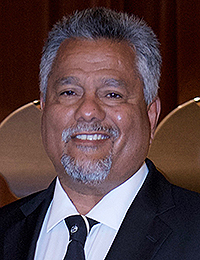 He has been involved in youth wrestling since 1983 and has been the leader of the No Mercy School of Wrestling out of Rancho Buena Vista High School with 40 State CIF placers. One girl in his club was the first four-time CIF State Champion. Ruben was an official for AAU and USA Wrestling for 16 years. 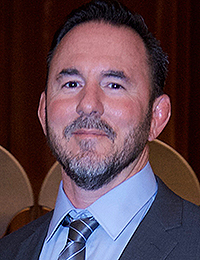 He has been a board member of numerous wrestling associations as well as coaching the California National Wrestling Team from 2000-2013. Ruben was chosen for State Man of the Year by Scholastic Wrestling News and received the Irv Olinger Award from the CIF Wrestling Association. 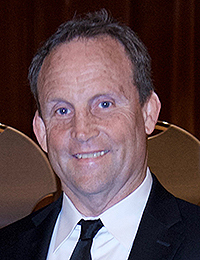 Terry began his thirty-year coaching career as the Head Coach of wrestling at Newport Harbor High School in Newport Beach. He then moved to Edison High School in Huntington Beach. He built Edison from a struggling program with less than 20 wrestlers into an Orange County perennial power. His teams won five league titles, and he had 34 CIF Division placers including five champions, and five State Championship Placers. Terry started the “Beach Bash” tournament and the Powerline Youth Club, and he has been inducted into the Orange County Wrestling Hall of Fame. Vic started coaching wrestling in San Diego in 1986 at several schools including Lincoln, Monte Vista, Valhalla, Helix, and Mt. 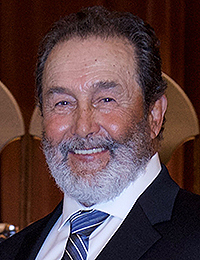 Miguel. He coached the California National Team for 14 years and also worked at the CA State Games and Association Duals. Vic was President of the San Diego Wrestling Association for 22 years. He presented clinics for underprivileged kids with clinicians from USA Wrestling. He has helped some outstanding individuals during his career including Ryan & Brandon Halsey, Willie Jones, Jeremiah Davis and Hall of Fame Inductees Stephen Neal and Quincey Clark. Athlete, coach, official, evaluator and mentor, Jay wrestled at Hawthorn HS and won four CIF Division Championships, 1950-1954. 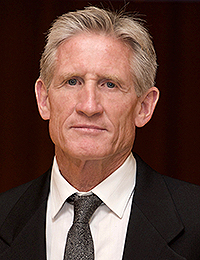 He excelled in football at Pepperdine University and achieved All-American honors as a quarterback. 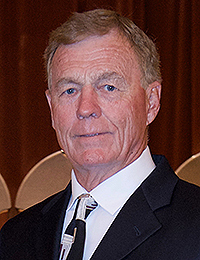 He coached football, wrestling and cross country at Saddleback College for 33 years. Jay officiated wrestling for 30 years, and he was the head official and evaluator at the NAIA Championships for 18 years. 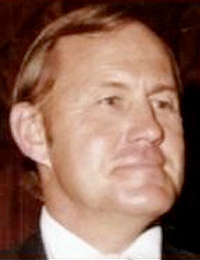 He was inducted into the Helms Athletic Foundation Football Hall of Fame, and in 1983 he was the Orange County Official of the Year. members. Pat enjoyed coaching his two sons Patrick and Daniel who was a CIF State Champion. He began officiating for USA Wrestling in 1991 and was head official for USAW Championships for many years. He started the Pac-West Wrestling Officials Assoc. He officiated the U.S. Olympic Trials in 2004 and 2008 and the World Championships in 2008 and many national events. 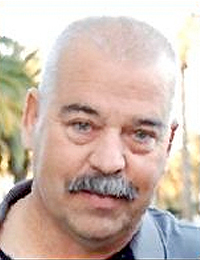 He was the wrestling and football coach at West Torrance High School for 25 years. Fred was also a high school and college wrestling official for 25 years. He was the coordinator in the South Bay Wrestling Officials Association and served as the President of the association for 15 years. 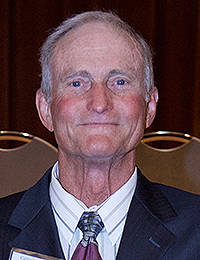 Fred was selected to officiate the first CIF State Wrestling Tournament at Cal State University, Hayward in 1973. 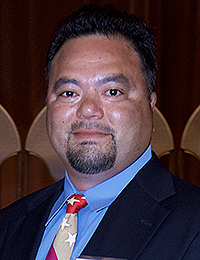 Fred also served as the director of the CiF Southern Section Wrestling Tournament. 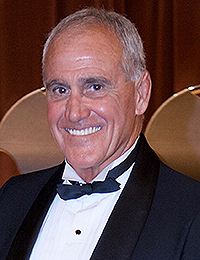 He was inducted into the California Chapter of the National Wrestling Hall of Fame. 2018 Inductees (back row left to right): David Ochoa, Adam Wheeler, John Keever and Alan Clinton. (front row left to right): Tony Okada,Victor Vorobieff, Bob Anderson, Marcie Van Dusen, Don Garriott and Lenny Zalesky. A CIF Southern Section Champion in high school, Bob also wrestled at El Camino Community College where he was a two-time conference champion, won the State Championship twice and was selected as the Outstanding Wrestler. He continued his wrestling at Adam State College where he was a conference champion and NCAA All-American. Bob won the National Freestyle Open Championship and was a champion In the Sambo style of wrestling. 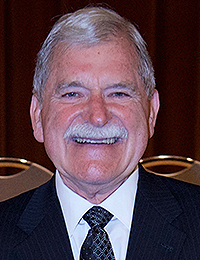 Bob served as an Olympic Coach as well as the World Cup. He started the JETS Wrestling Club and his JETS team won 14 National Championships. He has coached at El Modena and Servite High School for the past 37 years. He has been named the CIF Section Coach of the Year an impressive 19 times, as well as being named the Orange County Coach of the Year. His teams have won 14 league titles and 20 CIF Division titles. He has coached 130 league champions, 14 CIF placers, and 7 National All-Americans. Alan served on the CIF Wrestling Advisory Board and as President of the Orange County Wrestling Coaches & Officials Association. 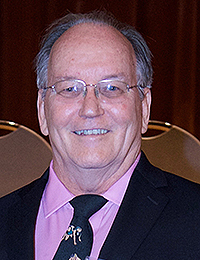 He was inducted into the California Chapter of the National Wrestling Hall of Fame. He placed 4th at the CIF State Wrestling Tournament for West Torrance High School. At El Camino College he was a two-time All-American. He transferred to Chico State where he was a two-time Far Western Conference Champion and a two-time NCAA D2 All-American. After college Don was a USAW Freestyle All-American. He has coached at North Torrance High School for 18 years, compiling a 280-76-2 record including 5 CIF Championships. Don is head coach at Cerritos College. His teams have won two State Community College Championships and finished second four times. 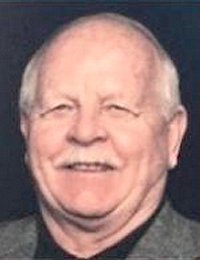 He was an All-American in both football and rugby at U.C. Santa Barbara. 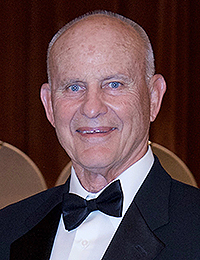 John started his 37-year coaching career at Moorpark College where he coached football, track and wrestling. His wrestling teams have a record of 244-111-4, and he coached 27 state community college finalists, including 11 State Champions and 53 All-Americans. Under John’s tutelage Moorpark College has won 17 conference titles and 2 state community college championships. 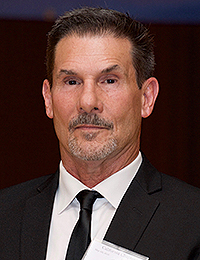 He was selected twice as the State Community College Coach of the Year and was inducted into the Moorpark College Hall of Fame. In high school David was a two-time league champion and state qualifier. He has coached at Workman and Northview High Schools for 30 years, and his teams have won 21 league titles, 23 CIF Southern Section Dual and Individual Championships, and 4 CIF Southern Section Masters Championships. David has coached 71 CIF Champions, 108 CIF Masters Placers, 24 Masters Champions, and 3 State Champs. He helped pioneer girls wrestling in Southern California. His girls teams have won 5 CIF Southern Section Championships and he has coached seven CIF Girls State Champions. He was a world class Judo Champion while in high school. He parlayed his judo skills onto the wrestling mat, winning three CIF Southern Section Championships and two CIF State Championships. He was an Asics First Team All-American. Tony was also a Cadet National Champion and a silver medalist at the FILA Cadet World Championships. Wrestling, however, was Tony’s second-best sport. Judo was the sport that he excelled in as he became the first American to win the Junior World Cup Title in Japan. He represented the USA in Judo at the1992 Olympic Games. She was a two-time Cadet Bronze Medalist while wrestling at Rim of The World High School. 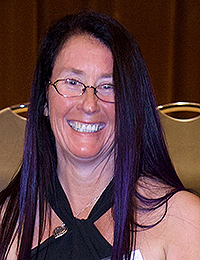 Marcie was also a five-time member of the U. S. National Wrestling Team. She is a two-time U.S. National and World Team Trials Champion, and she was the Outstanding Wrestler at the 2007 U.S. Nationals. She was a silver medalist at the Pan American Games in Rio de Janeiro. At the 2008 World Cup she was an undefeated champion. Marcie was a member of the U.S. Olympic Team at Beijing, China, and in 2013 she received the USA Wrestling Woman of the Year Award. He started to excel in wrestling at Mt. San Antonio Community College where he placed 3rd at the State Community College Championships and was an All-American. He attended Chico State and was a Far Western Conference Champion and a two-time NCAA Division Two Qualifier. 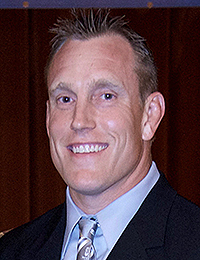 He began his coaching career at Arroyo High School where he was the gymnastics and wrestling coach. His gymnastics teams won 3 CIF Section titles. Victor’s wrestling team placed second in the CIF State Championships in 1989, and he has coached 12 State placers and 5 State CIF Champions. He wrestled at Lancaster High School, becoming the school’s first ever Golden League Champion. His senior year record was 44-3. After high school Adam served his country for five years in the U.S. Coast Guard. He was a member of the All-Navy Wrestling Team for five years and a three-time medalist in the Armed Forces Championships. Adam was an 8-time USA Wrestling All-American and a 2006 Pan American Games Silver Medalist. His greatest wrestling achievement was winning a bronze medal at the Olympic Games in Beijing, China. He was a three-time Big-10 Champion and two-time NCAA Division 1 Finalist while wrestling for Dan Gable at the University of Iowa. He began his coaching career assisting Gable at Iowa. He was head coach at U.C. 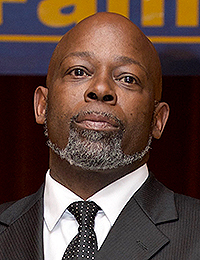 Davis for 9 seasons, and in 2007 he was named the PAC-10 Wrestling Coach of the Year and coached the Aggie’s first ever NCAA Division I National Champion in any sport in Derek Moore who was also named the Outstanding Tournament Wrestler. Lenny is now the Head Coach at Cal Baptist where in six seasons he has coached 26 All-Americans and six National Champions.